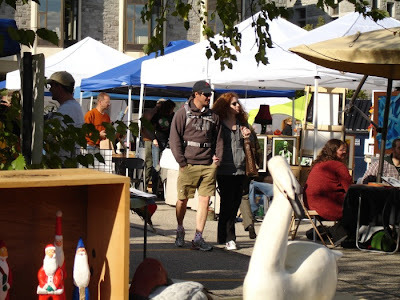 Recently I made a trip to Concord,NH for the Concord Arts Market. Already in it's 2nd season, it was well attended by what I thought was a terrific selection of artists and artisans, all within a short hop and a skip from a wonderful farmer's market as well. There was also great live music, people watching, and even a trapeze artist! Be sure to also stop into Madeleine's on North Main Street for an absolutely delicious dessert when you are there. 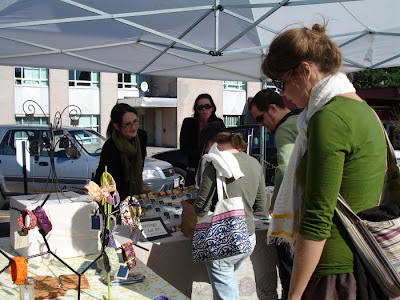 With just an hour's drive from Boston, the Concord Arts Market is an easy day trip. The fall season opens September 12th and continues each Saturday all the way to Halloween.